Following the first win of the season Bradford City continue to look for a striker hoping that the opening month of the season will have focused the mind of players who have realised that they will not be getting much football. Bradford City beat Chesterfield 1-0 in Derbyshire with a vintage Phil Parkinson team performance that kept the game tight and capitalised on the chance to win the game when it came but lost 3-1 at Sheffield United in a display of much different character. To appreciate how a manager can have a "vintage" performance, and what the concept of a team having a character is one has to be able to watch a lot of football and with pricing such as the £27 admission to Bramall Lane and other expensive prices including those at Bradford City fewer and fewer supporters will be able to do that. Bradford City's 2-0 defeat at Colchester United showed up the want of character within the team once more leaving questions to be asked at how teams can create character and leadership in squads that rotate so quickly? Jordy Hiwula’s single goal in Bradford City’s 1-0 win over Peterborough United changed the tone of the conversation around the club from a general worry that no goals would ever be scored to more of a consideration of what a fully fit Bantams would look like. Hiwula’s goal is the only return for a first week of over seventy chances in three games and the hunt for a striker continues despite Vincent Rabiega joining on a one year deal this week. With everyone at Valley Parade slowly admitting that the club is weeks behind in recruitment from where it would like to be Bradford City are not alone in being unprepared for the new season – Everton are only 70% ready it seems – and the five league games in August start to resemble a soft launch rather than a start with squads being assembled up to the end of August. Take – as an example – City’s Matthew Kilgallon who for reasons personal arrived at City not fit enough to play even in a situation where only one central defender was fit. That Romain Vincelot fits so well into the position is pleasing for many reasons but all those reasons mask how acceptable being ready for September rather than August has become. Because of this there is reason to believe that Chief Scout Greg Abbott may be able to find the striker City are looking for – Abbott, McCall, and most of Bradford seem to want a proven goalscorer – in the last weeks of the month. Take – for example – Sheffield Wednesday’s Gary Hooper who is a proven goalscorer across four divisions, Scotland and Europe but is currently sharing time at the owls and not getting the lion’s share of that time. With Steven Fletcher having arrived in South Yorkshire and Fernando Forestieri edging his way out Hooper has a good chance of playing. If Forestieri can be convinced to stay then Hooper is considering spending his twenty ninth year making cameo appearances from the bench. Of course Hooper is probably out of City’s range – I doubt he is a target – but in the next two weeks it could become obvious to Hooper if he is going to get game time or not and if he is not he might decide that he would rather move on to somewhere where he gets it. Another example is the oft talked about Adam le Fondre who has yet to feature for Cardiff City this season despite some pressing for his inclusion. At the moment le Fondre is being well paid to go out on loan – Wolves and Bolton had him in the last few years – but as the end of the transfer window now means an inability to play for another club until the start of January the likes of le Fondre are facing a long time watching football happening around them without getting involved. Of course this is not a new phenomenon just one with different timing. It was that players would turn up to pre-season and cast glances around the training field and play in a few friendlies to decide that New Face One and Young Kid Two were probably going to get into the team over them. Rather than bench warm for a year they looked for a move before the season started in August. That still happened but it happens in this first month of the season. August is pre-season with fifteen points available. Last year the soft launch August pre-season told Phil Parkinson that Nathan Clarke and Rory McArdle needed a more mobile player alongside them and so Reece Burke was signed. One shows one’s age when one wistfully recalls when a team was ready for the second Saturday in August. So Matt Taylor of Bristol Rovers is “tired” three games into the season with the ink not yet dry on his new contract but rumours starting immediately that he is having second thoughts. Jay Simpson does not appear on the Leyton Orient team photo and speculation rises. Which is perhaps where Abbott and McCall are poised ready for a player who shake loose who previously seems cemented into position. More about Adam Le Fondre, Fernando Forestieri, Gary Hooper, Greg Abbott, Jay Simpson, Jordy Hiwula, Matt Taylor, Nathan Clarke, Peterborough United, Reece Burke, Rory McArdle, Sheffield Wednesday, Steven Fletcher, Stuart McCall, Vincent Rabiega. Chesterfield away is a classic of the genre. A one goal victory that came when Bradford City ground the ambition out of the home side leaving only struggle. Every pass forward was marshalled and pushed away by an imperious defensive line. Every easy clearance was made hard by strikers and midfielders who chased down what would have been the routine were it not for the attitude that manager Phil Parkinson has drummed into his team. The goal came when Tony McMahon finished off a mazy run and low cross by Billy Clarke. Clarke enjoyed his best game in claret and amber and tormented the Chesterfield backline dropping into the hole between James Hanson and the midfield and exploiting it. Chesterfield’s response – to bring on the aging Richie Humphrey – showed a team stepping back on their home turf. McMahon’s goal finished off the home team. Parkinson would say after the game that City could have had four – indeed the post was pinged a number of times – but really the City manager oversells his policies. A one goal away win excites Parkinson – and excites me – because of the grind that has seen wins come Scunthorpe United, Rochdale, Doncaster Rovers, Oldham Athletic. Those days are Parkinson at his best. Playing away to teams that want to win mirrors the visits of Sunderland, or Arsenal, or Aston Villa, or the trip to Chelsea. When the opposition commits to victory Parkinson uses Hanson the battering ram occupying multiple defenders, and soaks up pressure with a mean back four. The City manager’s problems come at home when teams sit back and defend the Bantams attack which is sporadic as shown by the third fewest goals scored total in League One. When City are forced to make the play in a game then games slip away from Parkinson. Or sometimes things do not work. Going to a football match should not cost more than going to the cinema. I’ve said this in the past and I believe it. I think that Bradford City’s home pricing is a rare oasis of sense in a madness of a game in which this generation sells the game from the next and does so with a great deal of support from those getting fleeced. 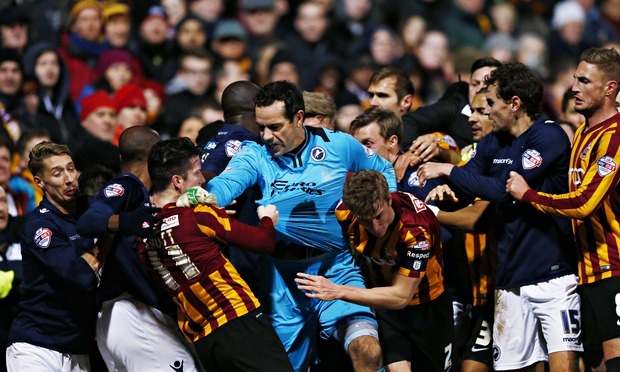 Bradford City’s away pricing – and walk up pricing – is equally toxic to the game as a whole. Last time I checked it cost £25 to go to Valley Parade as an away fan. It cost £22 at Chesterfield, it cost similar at Walsall, it cost similar at Doncaster, or at Scunthorpe and so on. The impact of this aggressive pricing that makes following football a thing that only some can afford is obvious to anyone who sees the aging supporter group and the gentrification which seems to come with it. £27 to get into Sheffield United is certainly something I can afford but it is not something I will pay. It is a few pounds more than other games and those few pounds are hardly significant to me but I will not pay it. And I do not know when the hand becomes the wrist nor do I feel like I’ve created a hard and fast rule never to be broken but I would not support this part of football’s attempts to gouge out of my pocket because they assume that because I can pay it they should sell to me, aged 42, for a price that me, aged 21, would never have been able to pay. If you enjoy a team that puts in a performance that is part frustration, part opportunism then you would have enjoyed the Chesterfield game. I would argue that Chesterfield, or Scunthorpe, or Doncaster, or Oldham were little different to the game with Chelsea that defines 2015 for Bradford City: Minimise chances coming at your goal and maximise what one has at the other end. But I cannot say with all honesty that all people would enjoy all or any of those games. I am cut from a cloth were I am more impressed with hard work and honesty on a field than I am by rabona kicks and 45 man massing moves. I enjoy seeing a team with limitations which overcome those limitations, some of the time, and the processional football of the Champions League leaves me cold. I’ve no interest in football where the players who walk onto the field against Barcelona believe they are beaten before kick off. Winning away at Chesterfield from few chances but battling to make sure that the team does not concede a chance let alone a goal is a good Saturday afternoon for me but probably only because of the narrative it creates. It is enjoyable to watch my team Bradford City attempting to overcome limitations because I know those limitations. There is an overarching story of the emergence of Rory McArdle from understudy to as rock of defence, or about Tony McMahon finding a role having floated anchorless at the start of the season. These things are seen over the course of months, and years, and not in isolation. Football, for me, is never viewed in isolation. I find the idea of turning on Sky Sports to watch any old game as mystifying as opening a book at a random page, reading twenty pages, and then putting it back on the shelf. To watch the unfolding narrative of a team one needs to be able to watch often and prices over £20 are no aid to that for me but would have been a substantial problem to me twenty years ago. Is Sheffield United vs Bradford City £27 worth of entertainment when – if one considers it – one could take a friend to watch The Force Awakens in IMAX and still have change for popcorn? Sheffield United away is not Chesterfield. Without a game owing to waterlogging and without the regular training pitches owing to flooding reports return that City lack sharpness and are easily beaten. 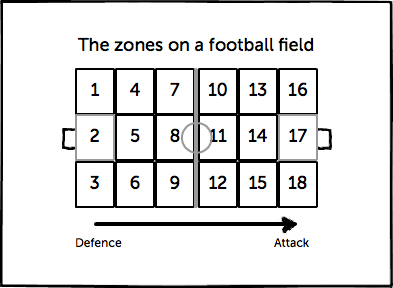 Football is a multi-polar world and games are hard enough when preparations are ideal. The supporters – both Bradford City and Sheffield United – are subject to some racist chanting from Sheffield United fans and some chanting that is unpleasant. This will be passed onto The FA – who are perhaps the least able and qualified body in the Universe on this subject – but probably not to the Police. The FA never seem to tire of their role as prosecutors of – some might say persecutors of – those whom the Law of the Land can find no case against claiming their lower standard of evidence as somehow better than the one that is required by any court which could not be prefixed with the term Kangaroo. I would not want to have The Racists of Sheffield who were at Bramall Lane to be convicted for what they said or what they think. I’m happy to just consider them to be a collective of idiots and be done with it. But I did not pay £27 so what can I say? To suggest that football needs to understand better its audience is to allow the game – the collective of clubs and organisers – leniency on the charge that they understand full well that they increasingly greying men who populate matches are the ones who will dig deepest for tickets and that they exploit that. The people who run football always need more money and they know that people aged 35+ in good jobs with good incomes will fund their extravagant demands for more wages paid, more promotions pushes, more mistakes and managerial pay-offs. These people are the focus of football’s attention. In twenty/thirty years time when those people have retired to Saturday afternoons in more comfortable surroundings there will be no generation to replace them because that attention is so narrowly focused. Oddly enough because of the odd combination of Wembley twice and season ticket pricing Bradford City are one of the clubs who have some protection against this – there is a healthy group of younger City fans who have been allowed a stake in the support – but mingle with the home fans at an away game and appreciate the difference. Football is ploughing fields without planting seeds. Sheffield United away is I am told a bad performance in isolation but not out of keeping with how Bradford City perform. When taken over a longer period City are averaging a point and a half a game away from home, as well as the odd Chelsea if you will. Often the game plan of Chesterfield works but when it does not the result is as it was in South Yorkshire. Since Phil Parkinson arrived his plans have had a shifting impact on the mentality of the club. When he arrived the club was congratulating itself for avoiding relegation out of the Football League under the hapless Peter Jackson. Now there is a consideration that the club is not ideally placed to reach the second tier of English football. But I – and perhaps you – only know this having been fortunate enough to be able to afford to follow the club from that period to this. I do not see how that will be possible for the coming generations of football. More about Barcelona, Billy Clarke, Chelsea, Chesterfield, Doncaster Rovers, James Hanson, Oldham Athletic, Permanent Revolution In Pricing, Peter Jackson, Phil Parkinson, Price of Football, Prices, Pricing, Racism, Rory McArdle, Scunthrope United, Sheffield United, Tony McMahon. As far as match reports go few are more erudite than Damien Wilkinson’s comment on Bradford City’s 2-0 defeat in Essex at Colechester United. Colchester will probably have harder training sessions than that. The names may have changed but the problems remain for Bradford City. A goalkeeper making a mistake, a team playing without character, a ninety minutes where there were not enough threats to the opposition goal. A replay of Saturday but one could pick a dozen games since City returned to League One where the same could be said. It has become manager Phil Parkinson’s nadir. 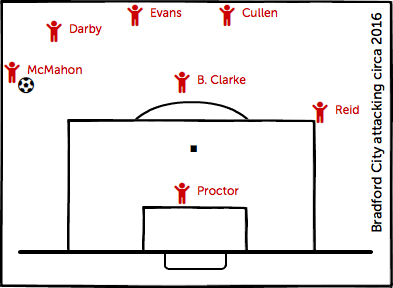 The manager who builds teams – including one at Layer Road at the start of his career – based on players who will play for each other turning out teams who do not play for each other. Brad Jones – signed with fanfare – may step down as goalkeeper for the weekend trip to Rochdale after his mistake led to Colchester’s first goal. Jones’ mistake does nothing for Ben Williams’ ability to control the space between where he can reach and where he positions his central defenders which is more Williams’ problem than his occasional mistake. Goalkeeper – more than any other position on the field – is a judgement made and stuck to. It is worrying that Parkinson believes in a fluidity between his custodians. Worrying but not unprecedented. The City manager moved between Matt Duke and Jon McLaughlin when they were sharing goalkeeping responsibilities. Only Jordan Pickford – probably as a product of his loan arrangement – has been cemented into the City goal. McLaughlin’s exit plays heavy on the mind. In Jon McLaughlin – who is keeping goal for League One leaders Burton Albion – City had a keeper who some still recall as making more than his fair share of mistakes but was vocal enough and improving to a point where he holds down a spot in the team at the top of City’s division. McLaughlin’s play aside when considering the character problem in the team which City put out I cannot help but recall the sight of the City goalkeeper sprinting fifty yards to punch Crawley Town players after they had started to fight with City, and City’s Andrew Davies. And while I’m not suggesting that there is a nobility in scrapping on the field I think back to The Crawley Brawl as a galvanising point for that City team. 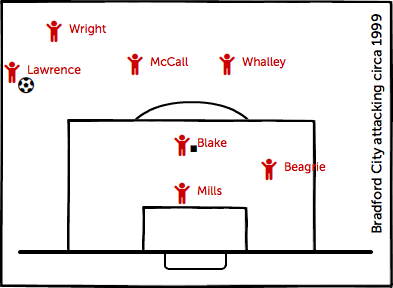 I cannot – with all my powers of imagination – see many of the current City squad prepared to do what McLaughlin did that night. I cannot picture Williams or Jones or many of the current team sprinting fifty yards to stick up for their team mates in a fight. As City warmed up against Colchester United Radio Five Live hosted a debate where they bemoaned the lack of leadership within the current Arsenal team. Arsene Wenger stood accused of inheriting leaders like Tony Adams and not being able to create anyone to replace them once they had passed into memory. Journalist Henry Winter suggested that Wenger’s problems were the problems of all football. That in an era of squad players who understand that they will not be in the side every game, and in the era of increased player movement between clubs that can see someone like Mikeal Arteta leave Everton for Arsenal having seemingly become a part of the Goodison Park furniture, that the sort of leadership and character of a Tony Adams was not appropriate. Expanding on Winter’s hypothesis would seem that managers have pursued players who can be used sparingly, and who understand that they are not essential to a team and can be rotated out, and so they do not grow the characteristics of the ever-present leader. League One football is not Arsenal’s concern but the hypothesis may hold true. It is hard to have players who could be described as leaders when those players after often at clubs over relatively short terms. Not every player had it in them to concern themselves with the general performance. Most look after their own game and – if you are lucky – that of the player next to them in a partnership. Leadership – the type that promotes character in the team – seems an increasingly rare commodity and one which is not suited to being rotate or traded. For a player who has arrived on a two year deal as most do the point in which he starts to grow into a role at the club seems to be the point where the club start to look beyond him. Take – as an example – Lee Bullock who in 2010 was the player’s player of the year but having spent eighteen months at VP. He signed a new contract that summer but changes of manager and focus saw Bullock play less and move on. While not wanting to comment on Bullock’s skills as a player it seems uncontroversial to suggest that no sooner had Bullock settled in then he was being marginalised in the number of games he played, and ultimately in his position at the club. With players coming and going in this way it it hard to imagine how a player will establish themselves as leaders in the group of players to have the effect on the field we talk about. After six months you know everyone’s name, after eighteen months you might have everyone’s respect, but if you are marginalised after that how do you lead? Stuart McCall was made, not bought, and both Andrew Davies and Gary Jones who also typified the trait were rehabilitated having started their role at the club as curios and ended them as key men. Parkinson needs to grow leadership from within the squad – and perhaps allow the squad to promote their own leader – and that is a process which takes time if it happens at all. Right now we are waiting for that before the club can progress. There is no question of another manager being best suited to carry out that process. Until leadership emerges within the squad City are subject to defeats and bad performances as befits any team. Two defeats – marked out because of their lifeless performances – are set in the context of a season which is in turn set in the wider context of the club’s history. Just like the display against Gillingham in September 2001 – a 5-1 win which represents the best I’ve ever seen City play in a season which had little else of skill – the highs and lows are modulated to fit in with the overall view of the season. The good are forgotten in bad seasons. The bad in good ones. Much of what came before the Crawley Brawl is not remembered now. The brawl itself though – the way the squad stood literally shoulder to shoulder in the fight – seemed to jump start the team spirit of 2013 and beyond. Colchester United 2-0 away will sink into that context too, providing Phil Parkinson can find another way to galvanise Bradford City, to create team spirit where there is none, and to enable the team to create its own leaders and character. More about Andrew Davies, Arsenal, Arsene Wenger, Ben Jones, Ben Williams, Burton Albion, Colchester United, Gary Jones, Jon McLaughlin, Jordan Pickford, Lee Bullock, Matt Duke, Phil Parkinson, Stuart McCall. When Phil Parkinson got ready to go in at half time at Brisbane Road to give his team talk to a City side that were beating Leyton Orient 1-0 he must have been thinking about how simple this game of football really is. At a corner the ball was delivered deep to Aaron McLean who spun off his man and ended up at the back post on his own. One touch and City never really looked back all afternoon against a Leyton Orient team who are much vaunted in third place but never really looked capable of breaking down the Bantams defence. And while City had choked badly on Tuesday night against Walsall there was an ease to the play in a game in which the Bantams were not asked to make the attacking running. The same problems were obvious but they mattered less once McLean had got his second goal in City colours. While a goal ahead and with the ability to sit deep and try use the power of McLean and Jon Stead up front or the pace of Adam Reach or Kyle Bennett to get behind a team which needed to win Parkinson could watch the second half confident that his team would win. Sit deep, make possession difficult for the opposition, hit from set plays. It worked against Leyton Orient, it worked against Arsenal. Wry smiles all round. But smiles from afar form Parkinson who was sent from the stand after a scuffle in the Orient tunnel following a handball by Andrew Davies which occurred after the half time whistle. It was Clive Thomas refereeing but it was as much as City had to cope with. Stead’s arrival to cover the injured James Hanson and Andy Gray who – while also injured – did nothing to impress on Tuesday night gave Parkinson the luxury of an effective target man on Saturday without the worry of not having one for Tuesday night’s trip to Coventry City. City go to Coventry City and both teams are on 48 points which would – last season – have ensured League One survival. One point is probably enough to rubber stamp survival for both and is perhaps the simplest outcome of the game. That The Sky Blues have achieved this from administration and The Bantams have done it from 7th in League Two will give both managers a chance to have something to smile about. The enlightenment of football probably eludes both these teams but neither have done as well as the slick passing of Leyton Orient who tried pass and move and ended up as thin waves ebbing away from a solid Bantams defence and beaten by a set play. Pressley’s point is not lost but it assumes much. It assumes that Parkinson – a football manager given to elements of coaching modernity – has not looked at the way the game is played in League One and concluded that the most simple way of playing football is the most effective. That the enlightenment of football analysis tells him that dark ages football works. On afternoons like Leyton Orient away it is worth reflecting that the simplest answer is often the best. More about Aaron McLean, Adam Reach, Andrew Davies, Andy Gray, Coventry City, Jon Stead, Leyton Orient, Steven Pressley, Walsall.